The popular Toca Lab app is free today and only for a limited period of time. 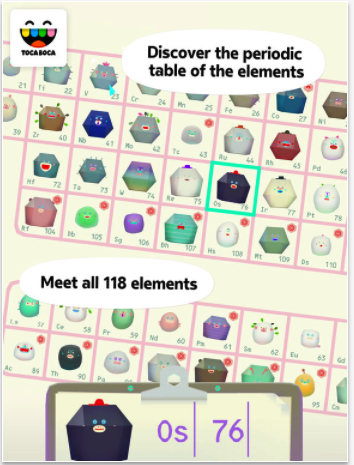 Toca Lab, which is a series of playful science apps, is a periodic table that features 118 elements to help students explore the world of science in amazing and fun ways. Students will get to discover the elements through experimenting with lab tools. Each of these elements has its own personality. ‘what does Neon sound like? Is Gold heavy or light? Is Nitrogen squishy or hard? Explore, inspect, and study each one and let us know! Can you find all 118?’.